No problem, set up a new password. Click &apos;request password&apos; and you will be sent an email to allow you to change your password. This ceiling installation set allows you to integrate your celexon Expert XL screen into a ceiling. A great solution to hiding the big screen away when not in use. 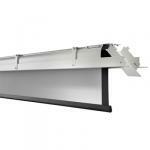 Integrate your celexon Expert XL screen perfectly into the room ceiling with this ceiling installation set. A perfectly clean, as well as very elegant and attractive solution to hide the screen when not in use. Smart ideas for the bigger picture.